Grew these little bahstards this summer. One of the only things the bugs, woodchucks and rabbits seemed to have no interest in. Now they are drying - I know it doesn't look like it. The how-to I read online said not to worry about the mold. 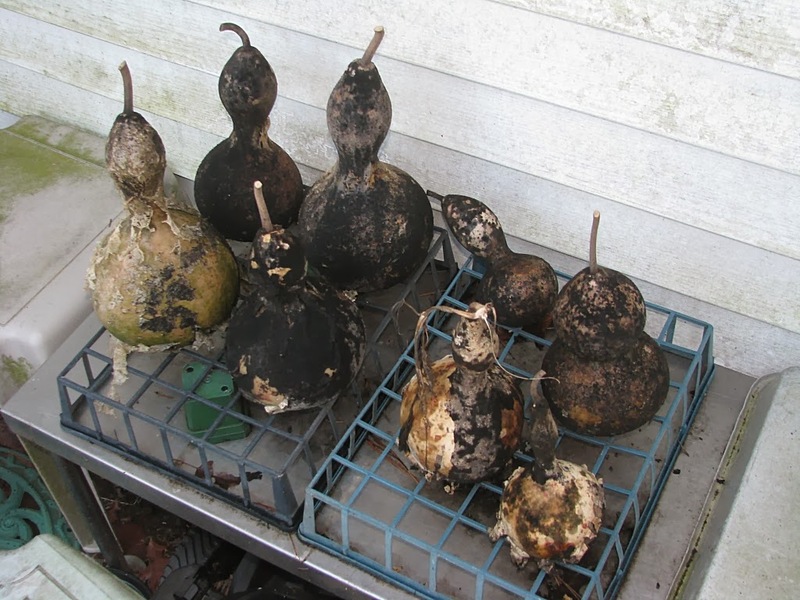 If I recall, as the mold dies/dries it leaves cool patterns on the surface of the gourd. I hope so.